When you shop at any of our park stores, your purchase benefits the parks. Become a member and save 15% off all orders. Today, Polynesian-introduced coconut trees towering gracefully over the national historical park grounds, and shade preserved and rehabilitated walls, canoe houses, and fishponds. The picturesque and utilitarian hala (Pandanus tectorius), an introduced Polynesian plant used to weave mats and baskets, is still found here. The leaves, or lau, of the hala are resilient and flexible. Look for handcrafted lauhala (pandanus leaf) items now available at the park store, and learn to weave your own crafts during lauhala weaving demonstrations. Visitors will be drawn to the carefully tended thatched heiau (temple), Hale o Keawe, which once held the consecrated bones of 23 great chiefs of Hawaiʻi. It was believed that the mana (spiritual power) of the chiefly bones would offer additional protection to an already powerful place. Situated on a point of land near the sea and surrounded by dramatic kiʻi, (carved images) Hale o Keawe is still considered very sacred ground. The waters of the nearby small bay are considered part of those restricted grounds and may not be entered for swimming. Honu (Hawaiian green sea turtles) often rest and warm themselves on the sandy shore—they are also protected, but by Federal law. Iwa (great frigate birds) often ride the rising thermals overhead, and during the winter you may see a kōlea (Pacific golden plover) on the park grounds, holding its territory and fattening up before its long migration back to Alaskan breeding grounds.  Please refer to the national park page for current conditions and alerts. From Kailua-Kona: Take Highway 11 south, approximately 20 miles. Between mileposts 103 and 104, at the Hōnaunau Post Office, turn right towards the ocean onto Hwy 160. Travel 3.5 miles and turn left at the Puʻuhonua o Hōnaunau National Historical Park sign. Travel times will vary due to ongoing construction in North Kona. From Hilo, going north: Take Hwy 19 to the junction of Hwy 190 in Waimea. As the road bends follow Hwy 190 until it intersects with Hwy 11 and turn left. (Hwy 11 is also known as Hawaii Belt Road and Queen Kaahumanu Hwy). Between mileposts 103 and 104, at the Hōnaunau Post Office, turn right towards the ocean onto Hwy 160. Travel 3.5 miles then turn left at the Puʻuhonua o Hōnaunau National Historical Park sign. Total travel distance is approximately 116 miles. From Hilo, going south: Take Hwy 11 south past Hawaii Volcanoes National Park, and the towns of Pahala and Naʻalehu. Between mileposts 103 and 104, at the Hōnaunau Post Office, turn left towards the ocean onto Hwy 160. Travel 3.5 miles then turn left at the Pu’uhonua o Hōnaunau National Historical Park sign. Total travel distance is approximately 107 miles. Visitor Center is open daily from 8:30 a.m. to 4:30 p.m daily. **Hours of operation may change due to emergency situations, without notice. The weather on the coast on the Kona coast of Hawaiʻi Island is dependably hot, sunny and humid. Temperatures range from the mid-70°s F to the 90°s F and there is little shade at Puʻuhonu o Hōnaunau National Historical Park. Visitors are drawn to the dramatic kiʻi (carved images), which represent deified chiefs and gods. They stand on the edge of the bay near the heiau (temple) Hale o Keawe, which once held the consecrated bones of 23 great chiefs of Hawaiʻi. This is still considered very sacred ground. The Hawaiian world “kiʻi” may be heard in other parts of Polynesia as “tiki”. HPPA Cultural Demonstrator Kahakaʻioikamalie can be found practicing traditional Hawaiian arts and crafts on the Royal Grounds. Learn how to carve, weave, make fish hooks, or just bring your questions to understand this living culture. A two-day cultural festival held every at the end of June offers arts, crafts, hula, traditional foods and more. Hawaiian green sea turtles feed on algae-covered rocks near shore, and haul out on the warm sands of the bay to rest and recover. Black-crowned night herons stand perfectly still on the margins of the small fishponds on the grounds, and a fortunate few may see the Hawaiian hoary bat flitting through the late evening air, or roosting high up on a palm tree. A short one-mile walk past the visitor center brings you to the remains of Kiʻilae Village, where the bases of homes can still be seen..
Fishponds found on the grounds are brackish, fed by underground streams. They probably functioned as “fish refrigerators,” keeping fish fresh and alive. Park staff work to bring back native plants like ʻōhai, a beautiful low-growing endemic shrub with green-grey leaves and a startling red flower. The original Hale o Keawe structure once contained the bones of very high chiefs, and it was believed that their mana protected this place. Few people are aware that competitive sledding, called hōlua, was a part of Hawaiian life. There is a hōlua sled course in the park. The wonderful plasticity of the lau hala (Pandanus leaf) made it a valuable plant, carried in the canoes of Hawaiian settlers to be woven into mats, hats, baskets and much more. © COPYRIGHT HAWAIʻI PACIFIC PARKS ASSOCIATION 2017.